When a single mother whose six-year-old son was in need of inpatient mental health services in Hagerstown and there was no bed available at Brook Lane, the child and his mother were taken by ambulance to the next nearest in-patient facility, 75 miles away. Once the child was admitted there, the mother had to find affordable transportation back to Hagerstown, and then negotiate trips back and forth to Baltimore to be with her child, all while keeping her job. 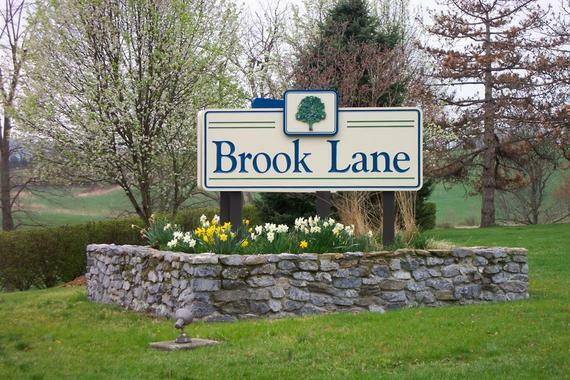 Located in Hagerstown, Maryland, Brook Lane offers a continuum of mental health services for children, adolescents, and adults. It is the only inpatient psychiatric facility for children and adolescents in the Western Maryland region. In 2013, Brook Lane turned away 732 children and adolescents because all of their beds were full. A child who is turned away must remain in the emergency room until a bed is available, travel an hour or more to the nearest alternative facility, or return home without treatment. To help kids get the specialized care they need and better serve families in the region, Brook Lane launched the Kids Need Room campaign. The campaign’s cornerstone was the construction of a new hospital wing with 14 single occupancy rooms for children. Brook Lane raised just over $2 million for the project, including a capital grant from the Knott Foundation. When the new hospital wing opened in 2015, the number of beds available at Brook Lane increased from 43 to 57. Twenty-five staff were added to accommodate the growth in patient census and facility upkeep. This extra capacity allows them to care for 400 to 500 more children and adolescents each year, greatly reducing those who must be turned away. Intakes at Brook Lane are done 24 hours a day, 7 days a week, where patients receive crisis stabilization in a safe and therapeutic environment. Kids most often come directly from the emergency room at a hospital with diagnoses of bipolar disorder or major depression, and they stay an average of six to eight days before being released with a treatment plan. Over the past 65 years, Brook Lane has provided education and treatment to improve patients’ emotional and behavioral well-being. “We’re saving lives. We’re making lives better for people who are dealing with mental illness, whether it’s a coping skills issue, a behavioral issue, or a chemical imbalance,” says Kay Hoffman, Director of Development. “When they find out where I work, people often joke by saying, ‘Save me a room!’” says Hoffman. “I always respond, ‘Do you know how lucky you are that we even have a room?” Indeed, the mother from Hagerstown whose son ended up in Baltimore is a fitting depiction of how Brook Lane can make a difference, one room at a time.